What do you do to get noticed? Is it a balancing act? 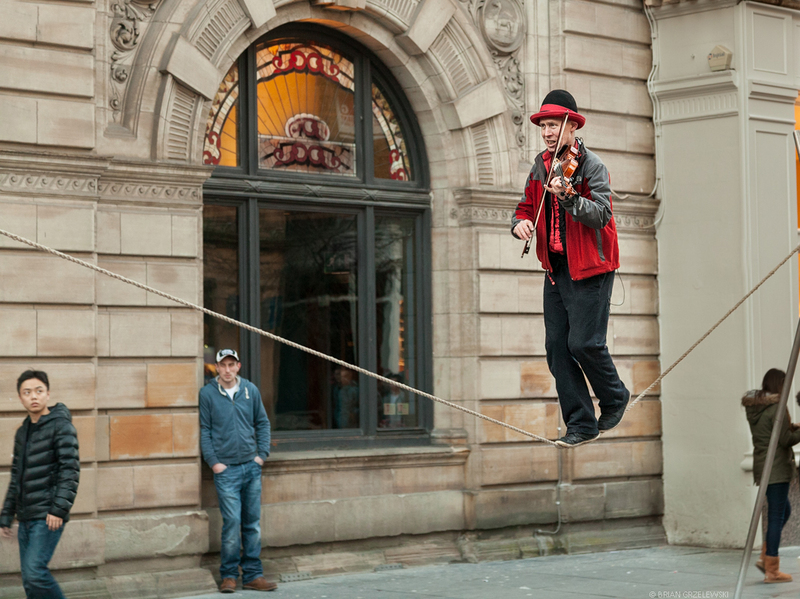 This performer in Glasgow, Scotland grabs attention by risking catastrophe. Regular art won’t cut it. We’ve all seen/heard that. We want to be amazed!